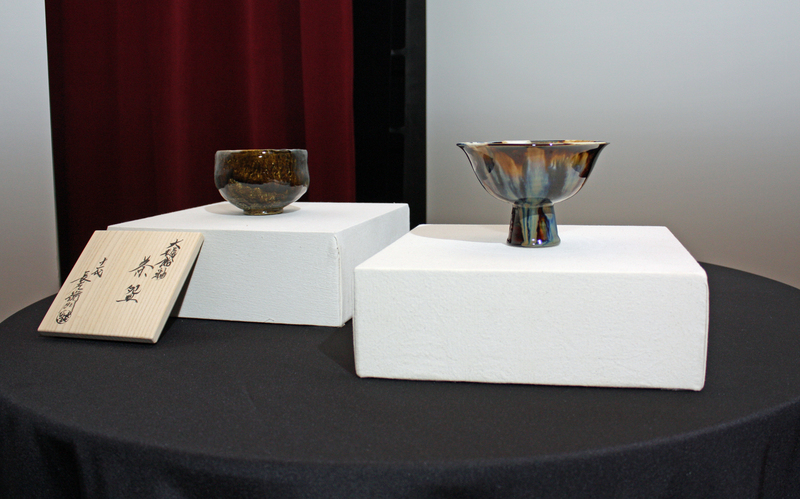 On the heels of his lecture, “The Spirit of Japanese Craftsmanship (Kogei)” at the Morikami Museum and Japanese Gardens, renowned Japanese pottery artist Ohi Toshio Chozaemon XI donated two unique pieces to the museum for display in a collection of traditional Japanese pottery. Born in Kanazawa City, Ishikawa Prefecture, Mr. Ohi is the 11th generation in a family of potters known for “Ohi Yaki” pottery, a traditional style of pottery used for tea ceremonies dating back more than 350 years. 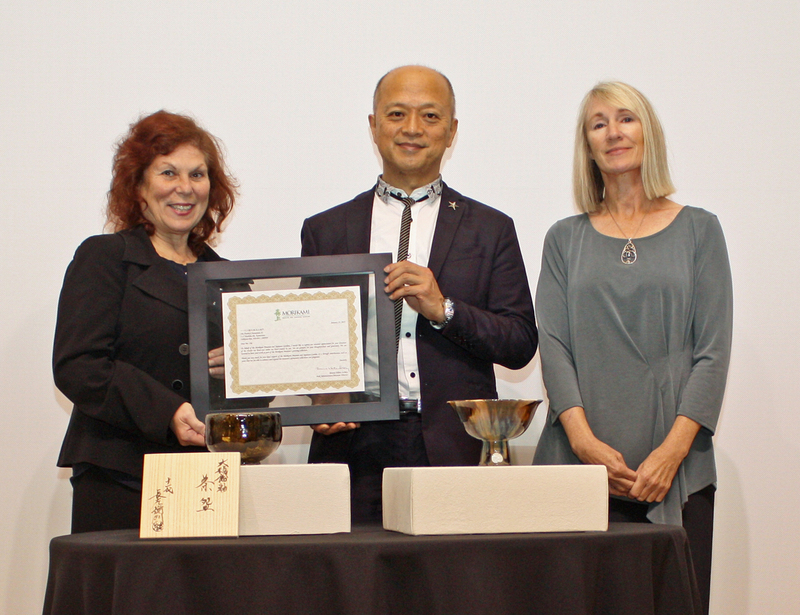 The pieces donated by Mr. Ohi are valued at more than $10,000. In addition to the Morikami Museum and Japanese Gardens, Mr. Ohi’s art works have been collected by the David Rockefeller Office in New York, the Rothschild in Sweden, the Huntington Library of Los Angeles County Museum of Art, the Detroit Institute of Arts, the Musée National de Céramique de Sèvres in Paris, the Jingdezhen Ceramics Museum in China, the Taipei Fine Arts Museum in Taiwan and the 21st Century Museum of Contemporary Art in Japan. Mr. Ohi was recognized in a ceremony at the culmination of a series of events organized and presented by the Consulate-General of Japan in Miami. 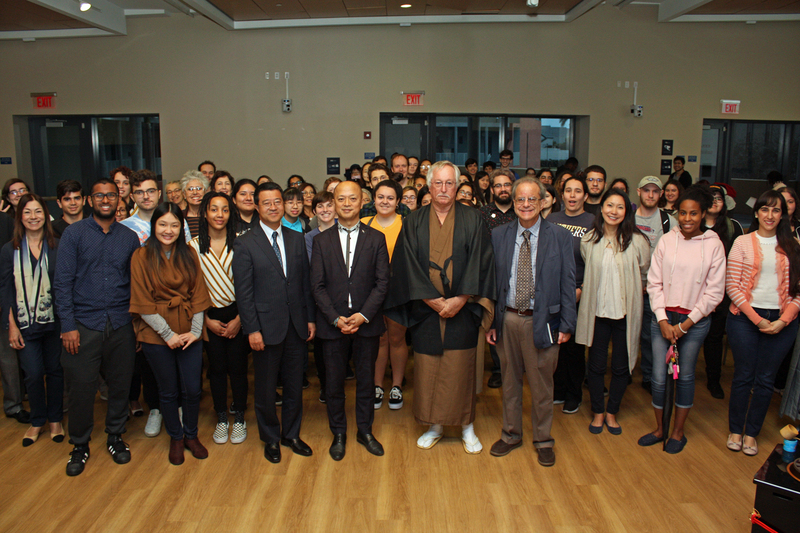 During his visit to South Florida, Mr. Ohi hosted “The Spirit of Japanese Craftsmanship (Kogei)” lectures at both Morikami and Florida International University. 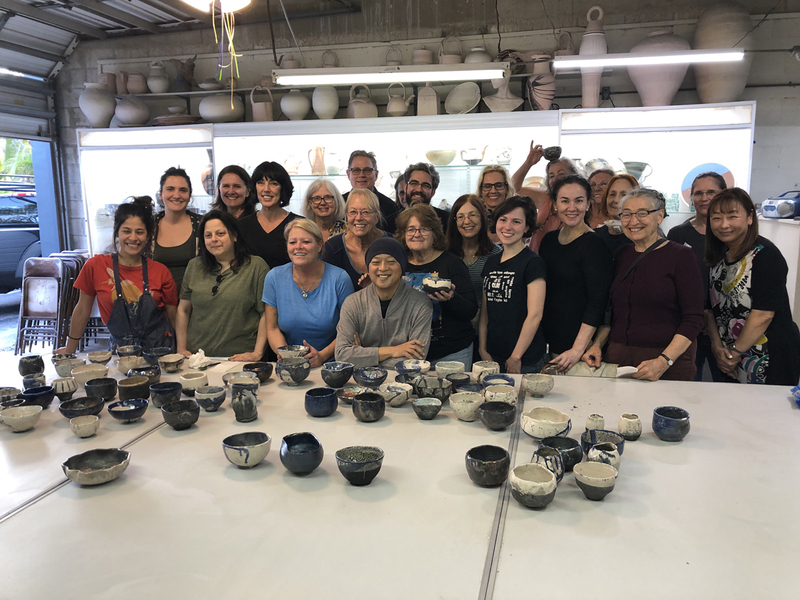 Additionally, Mr. Ohi led two full-day, hands-on pottery workshops at the Ceramic League of Miami. Both workshops sold out. For more information about the Consulate-General of Japan in Miami, please call (305) 530-9090 or contact Miwako Patton at culture@mi.mofa.go.jp or Hector Franco at webmaster@mi.mofa.go.jp and visit www.miami.us.emb-japan.go.jp/itprtop_en/index.html.